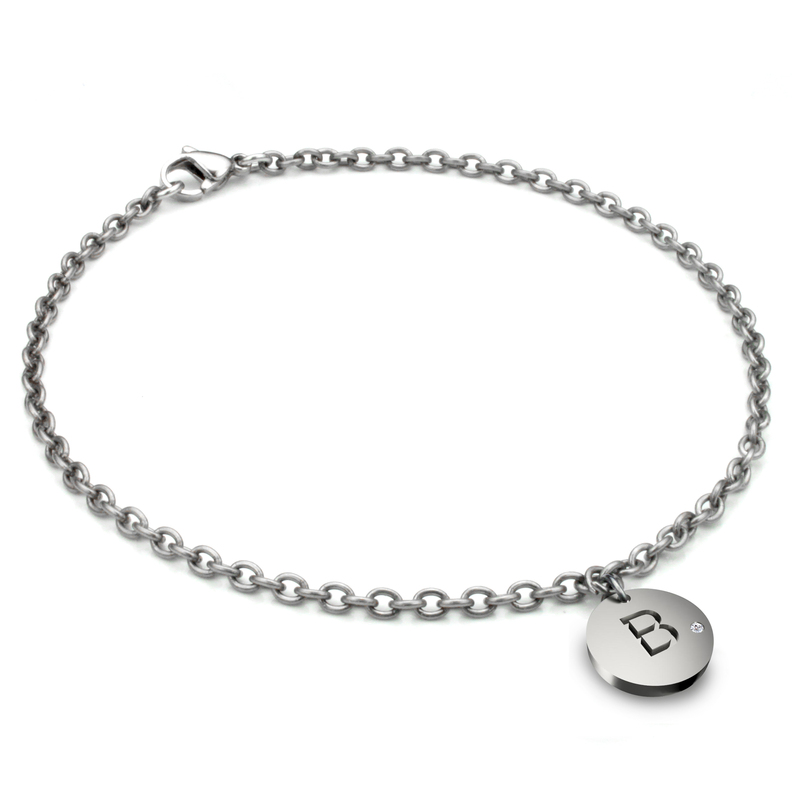 Unlike any anklets made from precious metals like silver and white gold, this titanium anklet will never tarnish. Feather light weight is another characteristic of titanium. Since the entire piece of jewelry is made from solid titanium, it is very comfortable to wear. It is so light that you may not even feel it. All links are soldered with titanium lobster clasp. The tag measures 19MM in diameter, with a 0.01 CT round brilliant cut diamond and a letter of your choice.